question_answer1) A news flashed on TV that 70 people died in a/an X in Ladakh. The X here can be _____. question_answer2) There was a large number of dead fish drifting towards shore. Many dead birds with sticky, black coating feathers could also be seen there. A/An ____ might have occurred nearby. question_answer3) ____ is a factor causing noise pollution. question_answer4) Greenhouse gases cause global warming. Which of the following is a greenhouse gas? question_answer5) Select the method that prevents soil erosion by water. question_answer6) Select the incorrect statement regarding water pollution. question_answer7) When oxides of nitrogen and sulphur react with water vapour in the air they cause ______. question_answer8) If an earthquake occurs, which of the following you should not do? question_answer9) The given picture shows terrace farming. It helps in _____. question_answer10) Man carries out deforestation to provide space for buildings and farms. Some also cut down trees to provide wood for furniture and paper manufacturing. Which of the following would possibly result from the above activities? (i) Top soil erosion may occur. (ii) Some animals may become extinct. (iii) There may arise a problem of global warming. (iv) Some possible sources of natural drugs to cure diseases may be lost. question_answer11) Which of the following statements is correct? question_answer12) Which one of the following pairs is wrongly classified? 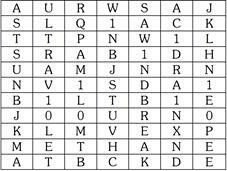 question_answer13) Ali studied two groups of things as shown in the table below. He made the following inferences. Which one of the inferences is correct? question_answer14) Which of the things listed below are biodegradable? question_answer15) The given options show the bacterial count, oxygen level and the number of green plants and animals in the river near each of four towns A, B, C and D. Which town is situated near an unpolluted river? The given graph shows the changes in the population of an insect found on a Jackfruit tree after four different sprayings of the same insecticide. What conclusion can you draw from the graph? question_answer17) A large area of forest was destroyed completely by forest fire. Which of the following statements hold(s) true regarding it? (i) More soil will be eroded as the soil is not protected by trees from wind and rain. (ii) The land will have more fresh air as there are lesser trees to take in oxygen. (iii) Wildlife will inhabit the cleared area because more space is available now. (iv) New trees will grow quickly to replace the burnt ones as the ash of the burnt trees will make the soil more fertile. DIRECTION: Refer to the given word grid and answer the question. Select the option that is not hidden in the given word grid. The term used for _______ can be found in the given word grid. question_answer20) Scientists were studying two types of hospital waste, X and Y for their disposal and their effect on environment. They plotted a graph showing change in their quantities over time, when dumped in an open field. Refer to the given graph and select the option that correctly identifies X and Y.